Following the expose of the differences that have emerged between PF government and Mohammed Enterprises Tanzania Limited (METL) over the corrupt lease that was engineered by President Lungu, the head of state is expected to make an impromptu visit to Kabwe. While in Kabwe, Lungu will visit some institutions and the defunct textile plant where he will try to show the Kabwe people that he doesn’t approve of the activities. 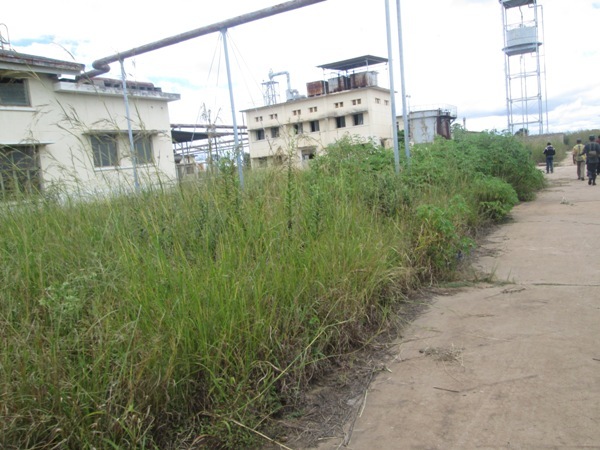 After corrupting Lungu as defence minister and PF presidential aspirant, the Tanzanian businessman of Asian origin was given a ten year renewable lease of the factory and both the company and government lied that they would resuscitate the plant within three months and invited applications for jobs in the run up to the 2015 Presidential election. Mulungushi Textiles is owned by the ministry of defence on behalf of the Zambian government. “Because of the pending court action and the story you guys ran, the President wants to rush to Central province and Kabwe in particular where he is expected to direct the ministries of defence, justice and commerce to relook at the lease agreement. He may just try to express anger at the non functionality of the plant but he was the one behind it as defence minister and these Tanzanian Indians are on firm ground,” said a Watchdog source based at state house. No employment has taken place and the plant is now used as a distribution point for fertiliser imported by METL with full knowledge of the PF government. As a face saver government has threatened to revoke the lease but METL has applied for a court order in the Lusaka High court to block the termination. METL also wants to build a shopping mall on the land next to the plant as part of the deal agreed with Lungu. Information has emerged that the porous lease agreement was crafted by Lungu and the METL lawyers using Lungu’s agent, Emmanuel Chilubanama who was a member of the Mulungushi Textiles board and was rewarded with the appointment as State house permanent secretary soon after Lungu’s victory.